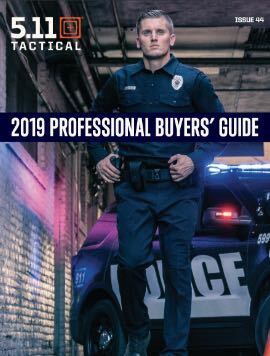 5.11, Inc. ("5.11") warrants each product sold by 5.11 or its authorized dealers ("Product") to be free of defects in materials or workmanship for as long as you own the Product, or for the maximum period allowed by the laws of your jurisdiction, if less. Products purchased other than from 5.11 or from an authorized 5.11 dealer. This warranty is the exclusive warranty provided by 5.11 relating to the Product and, to the maximum extent permitted by law, 5.11 disclaims all other express or implied warranties. Bring the Product to the store where it was purchased OR call 5.11 for a Return Authorization Number ("RA#"). record the RA# and details for your future reference. Please ship the Product freight prepaid and insured (5.11 assumes no responsibility for Products during shipment from the customer to our Warranty Department and shipping charges are not refundable). If 5.11 determines that the Product is defective, 5.11 will either replace the Product or repair the Product. All determinations made by 5.11 will be within 5.11's sole discretion and will be final. All returns by 5.11 in the United States will be sent using ground shipping; shipments being returned to a P.O. Box will be made using U.S. Mail. All returns to international customers will be sent using standard shipping. This warranty gives you specific legal rights, and you may also have other rights which vary from state to state in the United States and in other countries. 5.11, Inc. ("5.11") warrants each timepiece sold by 5.11 or its authorized dealers ("Product") to be free of defects in materials or workmanship for two years, or for the maximum period allowed by the laws of your jurisdiction, if less. Damage resulting from opening, tampering, or a customer modification. Damage resulting from attempted service or repairs by an unauthorized service provider. Wrist bands, stem, crystals, crown, and battery replacement are not covered under warranty. 5.11, Inc. ("5.11") warrants each Light for Life® product ("Product") sold by 5.11 or its authorized dealers to be free of defects in materials or workmanship for as long as you own the Product, or for the maximum period allowed by the laws of your jurisdiction, if less. Please note, however, that 5.11 warrants the chargers for Light for Life® Products for a period of one year from the date of purchase, but the chargers are otherwise subject to the same terms and conditions of this warranty. To return a defective Product for warranty service, please call us at 1-888-511-4LFL (4535) in the U.S. and +46 40 467 388 in Europe. If 5.11 determines that the Product is defective, 5.11 will either replace the Product or repair the Product. All determinations made by 5.11 will be within 5.11's sole discretion. Q: Why is the 5.11 Tactical Duty Light UC3.400 (Model #53000) no longer available? A: We have developed a new series of rechargeable battery-powered lights with superior performance attributes and more attractive pricing. These lights will be available to ship in the Spring of 2012. Q: How long will 5.11 Tactical support the warranty on my Duty Light? A: We will provide repair and replacement warranty support for as long as our supply of Duty Light components lasts. We have a large inventory of these components, but it is not possible to say how long it will last. When the inventory of these components is depleted we will replace Duty Light units with our Mid-Size Lights (Model #53001), if requested to do so. Q: Have there been any problems with the Duty Light? A: There have been a small number of overcharging issues involving Duty Light units, primarily those that have been "hardwired" to vehicles' electrical systems. Q: What is the cause of this overcharging? A: The cause has been identified as being large power transients or voltage spikes, which are prevalent in some vehicular power systems, causing the circuitry in the charger to fail in a manner that ultimately results in the flashlight overcharging. Q: How do I know if this will happen to my flashlight? A: Voltage spikes are more prevalent in vehicles utilizing multiple pieces of electronic peripheral equipment (such as radios, computers, warning or safety lights, etc.) or those that have the charger hardwired directly into modified power distribution systems (most often by Police or Fire Departments). 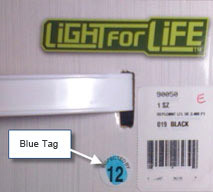 Duty Lights shipped by 5.11 after July 2011 featured a more robust charger design and have not experienced overcharging issues. Q: How do I know if my unit might already have an upgraded charger? A: We added unique markings on units with an upgraded charger. 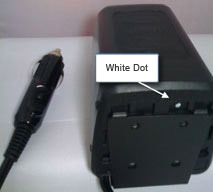 These markings include: (a) a small blue dot on the product packaging, (b) a small white dot on the base of the charger. Q: What can happen to the Duty Light if it overcharges? A: In the rare instances in which a Duty Light experiences overcharging, the light might swell or become warm to the touch. In an even smaller number of instances, the overcharged capacitors might "vent", by design, to avoid rupturing, which can result in the melting of a small hole in the flashlight casing. Q: What is the "fix" for this issue? A: The solution is to provide additional protection against power spikes by adding a filtering device to the charger's main power line. We are making two different options for this solution available to you, depending upon how your charger is installed: For Duty Lights that are "hardwired" into a vehicle's electronics, we will provide a free retrofit kit, including an attachable Transient Voltage Suppressor ("TVS") and a fuse, along with simple but detailed instructions. In addition, we will make enhanced charger units available (with an imbedded TVS) to customers who elect to return the charger for replacement, while quantities last. Q: I have a 5.11 Tactical Mid-Size Flashlight (PC3.300). Does it have the same problem and should it be upgraded? A: The Mid-Size system has been much less susceptible to this failure due to its more robust design. At your option, however, we can provide you with a free TVS Upgrade Kit, including a TVS, fuse, and instructions, that can be attached to your charger's connection to the electrical system of your vehicle and that will further increase your light's resistance to voltage spikes. Q: If I only run my charger on the AC adapter and never use it in a car do I still need to upgrade? A: We have never received a report of voltage spikes resulting in overcharging on an AC adapter. Q: How long will it take to get the upgrade parts I need for my flashlight? A: We have all of the required upgrade parts in stock and they can be shipped within two business days of a customer's request. Product replacements can also be made very quickly, while quantities last. Q: What is this going to cost me? A: There is no cost to you for this service. We will provide the TVS upgrade kit at no charge and any product replacements will be made at our expense. 5.11, Inc. ("5.11") warrants its fire fighting and fire-resistant garments and apparel ("Product") to be free from workmanship and material defects for the useful life of the Products when used by appropriately trained personnel following acceptable fire fighting or emergency services procedures and when the garments' warning, use, and care instructions are followed. For purposes of this warranty, "workmanship and material defects" is defined as defects arising from the manufacturing process, including loose or broken seams, malfunctioning hardware, and flawed fabrics. Defects do not encompass the results of ordinary wear and tear. In addition, "useful life," for purposes of this warranty, is defined as no more than three years, but may be shorter depending upon the type and frequency of use of the garment. Nonetheless, it is the responsibility of the user and the applicable department or agency to establish its own guidelines and standards for assessing and determining the useful life of its apparel and equipment. Damage resulting from abuse, misuse, or improper care. This warranty is the exclusive warranty provided by 5.11 relating to the Product and, to the maximum extent permitted by law, 5.11 disclaims all other express or implied warranties, including without limitation warranties of merchantability and/or fitness for a particular purpose. Please ship the Product freight prepaid and insured (5.11 assumes no responsibility for Product during shipment from the customer to our Warranty Department and shipping charges are not refundable). If 5.11 determines that the Product is defective, it will either replace the Product or repair the Product. All determinations made by 5.11will be within its sole discretion and will be final.